I'm not sure which was harder - the first thin stemming section or the second thin layback section. And I was seconding! 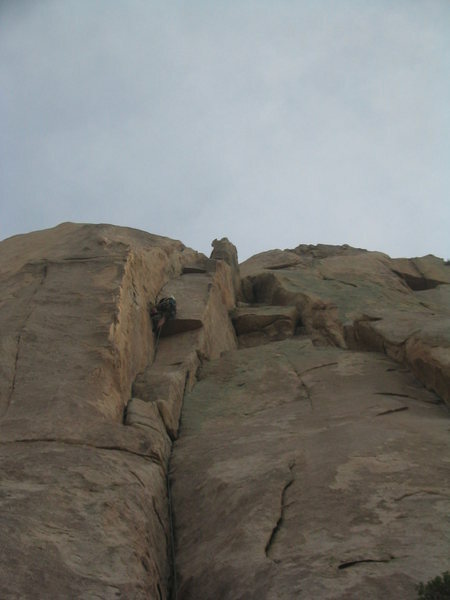 This is Eric at the first crux.